The Intel SSD 760p Series combines PCIe performance, versatile capacities, and high-quality Intel 3D NAND technology to deliver twice the performance and up to 50% of the power consumption than its previous generation - the Intel SSD 600p Series. Featuring an M.2 thin profile with PCIe Gen3 x4, NVMe interfaces, The Intel SSD 760p Series is ideal for a wide range of devices from desktops to laptops. The 760p is designed to effortlessly manage demanding consumer client applications and easily handle intense multi-tasking. 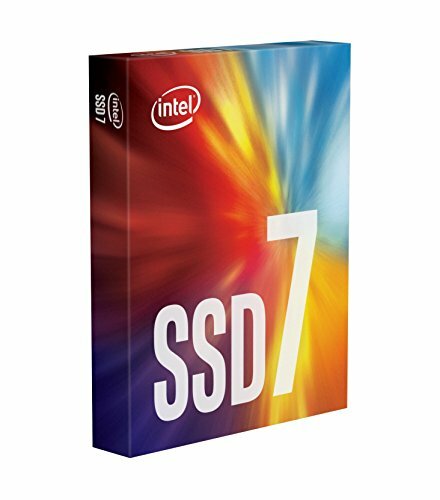 Backed by a five-year limited warranty and Intel's world-class quality leadership, the intel SSD 760p is a clear choice. The 760p Series Family accelerates platform performance with sequential reads of up to 3,230 MB/s, sequential writes of up to 1,625 MB/s and random read and write IOPS of up to 340K and 275K, respectively. Results may vary based on SSD density. Experience enhanced efficiency with the applications you care about, and up to 6x better performance than SATA SSDs with the Intel SSD 760p Series.